The first sod has been turned on Willinga Park’s $5.5 million equestrian centre. The centre will include a 25 horse stable, rider’s room, staff room, a veterinary clinic, horse walker, training yards plus stock holding and feeding yards. 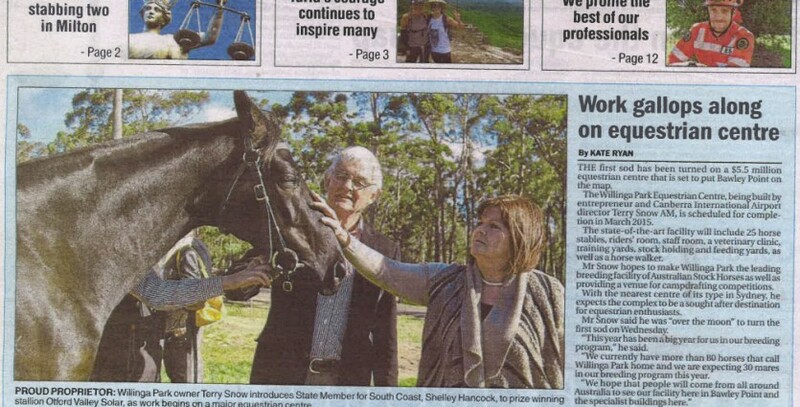 Click here to view Milton Ulladulla Times article.